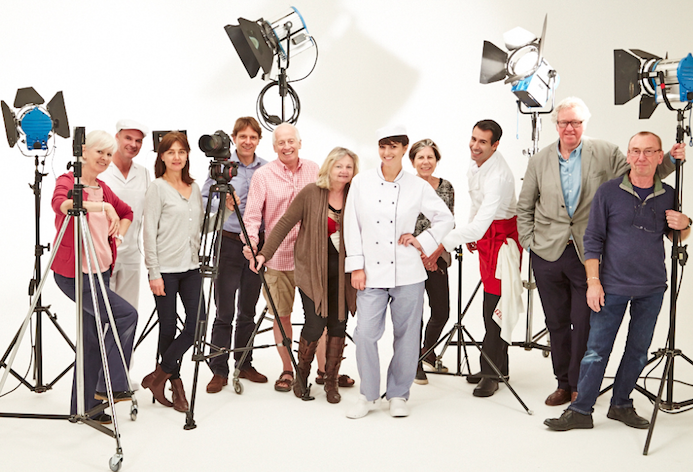 Ragus Marketing Director Ben Eastick with photographers, stylists, models, art directors and brand consultants on the studio set. Production is well underway for the soon to be released video to ‘lift the lid’ on the origins and present day modern manufacture of the glorious elixer that is Golden Syrup. Code named “Project Goldie” the video will highlight the versatility of the natural product for taste, texture and appearance in modern food production and its value to professional bakers, chefs and confectioners. 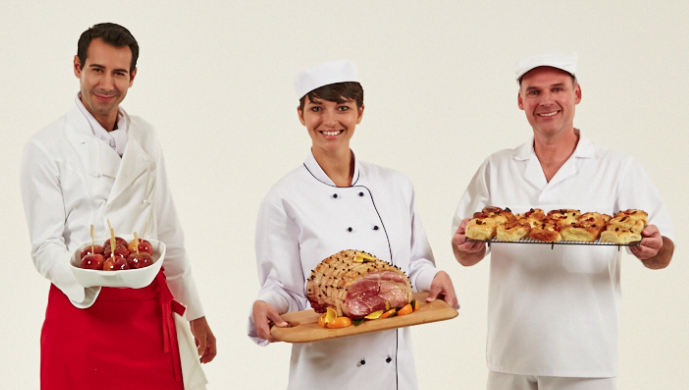 Food Professionals rely on Ragus ingredients for their products. 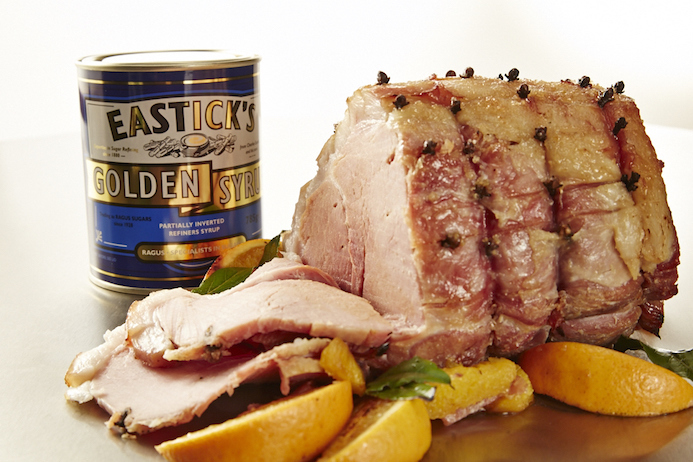 Star of the production is Ragus’ Eastick’s Golden Syrup. 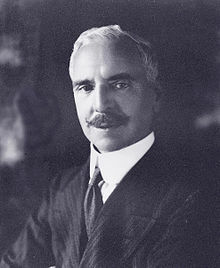 It connects the product’s inventor Charles Eastick to the founding of his Ragus company in 1928 and to the Ragus company today. 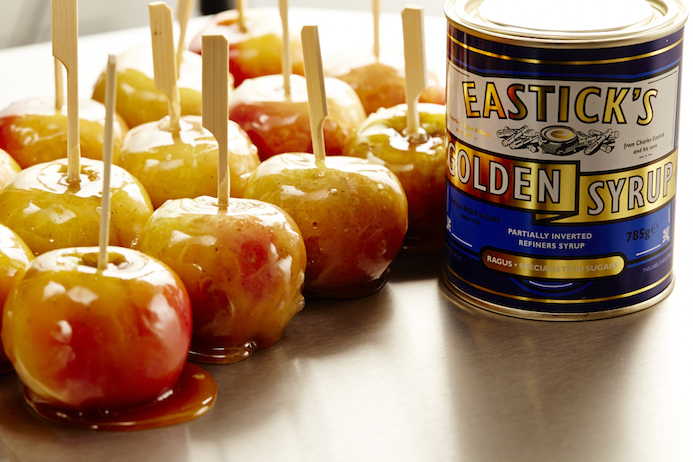 Ragus’ Eastick’s Golden Syrup for confectionery products. Ragus’ Eastick’s Golden Syrup for meat glazes. 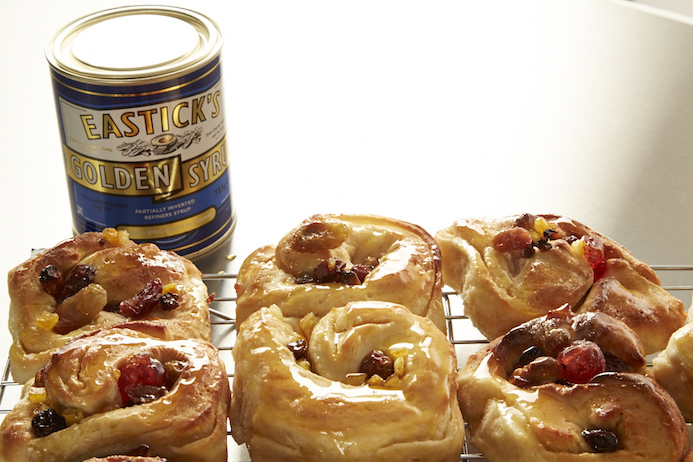 Ragus’ Eastick’s Golden Syrup for bakery products. 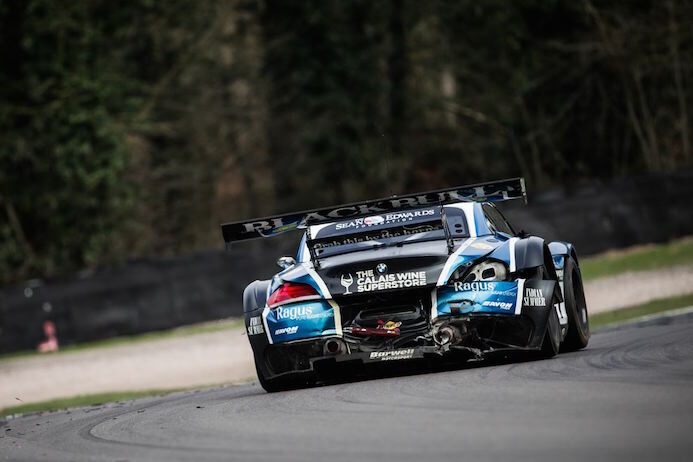 Ragus and the world famous Ecurie Ecosse motor racing team commenced their fourth consecutive year of partnership at Oulton Park during the Easter weekend. 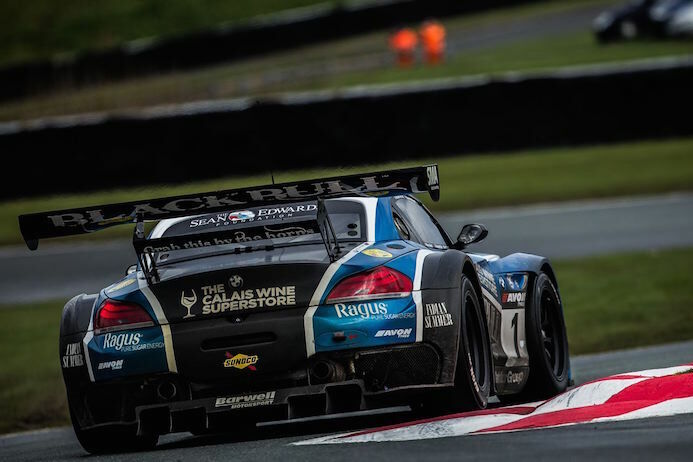 For 2015 Ragus has positioned the Pure Sugar Energy branding on the rear sections of the championship winning BMW Z4 GT3 to gain new exposure. Ragus rearward facing branding for the 2015 championship. In race one, Alistair Mackinnon’s Mercedes SLS AMG made contact with Derek Johnston’s Aston Martin. Ecosse/Barwell driver Attard braked hard in avoidance but was hit from behind unsighted by team mate Jon Minshaw, slewing the No.1 BMW sideways into the barriers and then back across the track into the stranded Aston Martin. Fortunately the damage was mainly cosmetic, allowing Attard to limp to the pits before a safety car was deployed. Quick work from the mechanics had Alexander Sims back out in no time and the BMW factory driver duly fought his way up through the field en route to 6th overall. Sticky situation in race one at Oulton Park. Despite there being only three hours between races, Barwell mechanics had the BMW back in shape for the afternoon’s second one hour race where Sims lined up 4th on the grid. At the mandatory pit stop after 30 minutes, Marco Attard was able to progress to bring the car home 3rd after a battle with the Ginetta of Steve Tandy and salvage solid points from a challenging weekend. 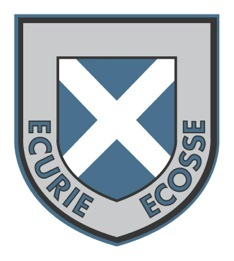 The Ecurie Ecosse/Ragus car will have a quick turnaround before competing in round one of the Blancpain series in Monza, Italy next weekend. 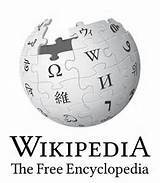 You are currently browsing the Ragus blog archives for April, 2015.